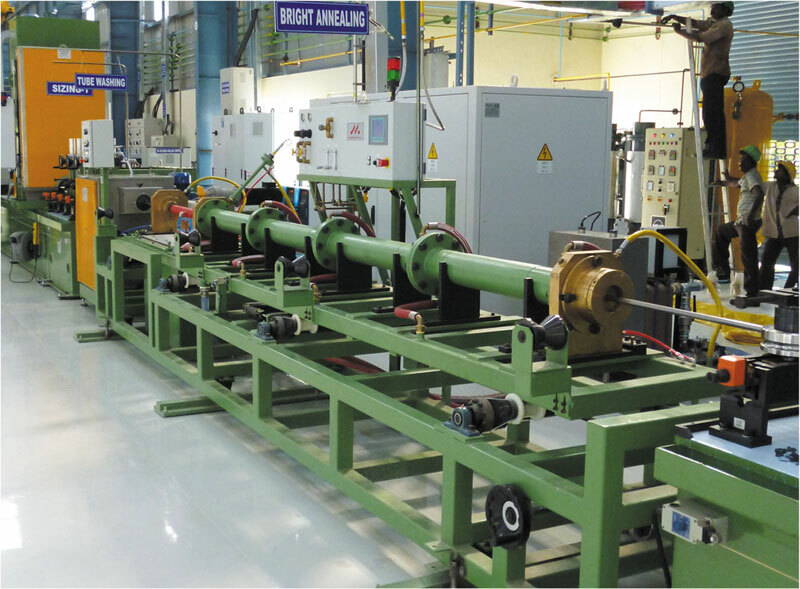 The TIG welding system (Tungsten Inert Gas) is mainly indicated for the production of high quality tubes. 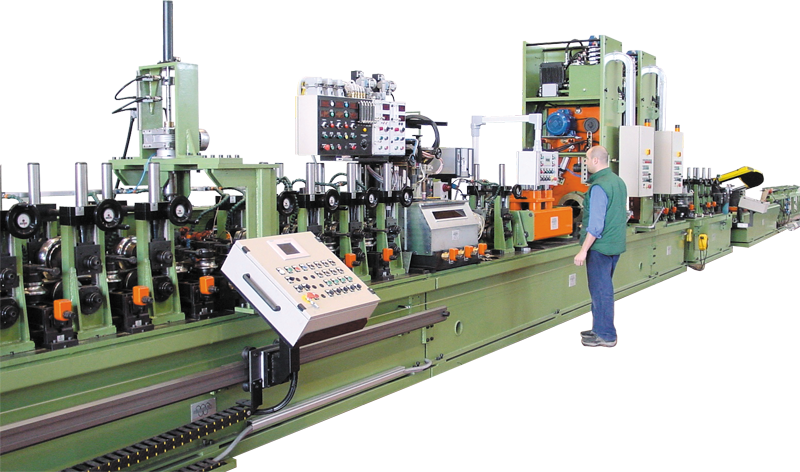 Olimpia 80 is capable to offer full solutions supplying complete lines which are suitable to give a final finished product wich meets the most stringent standards. Complete mill, Mod. 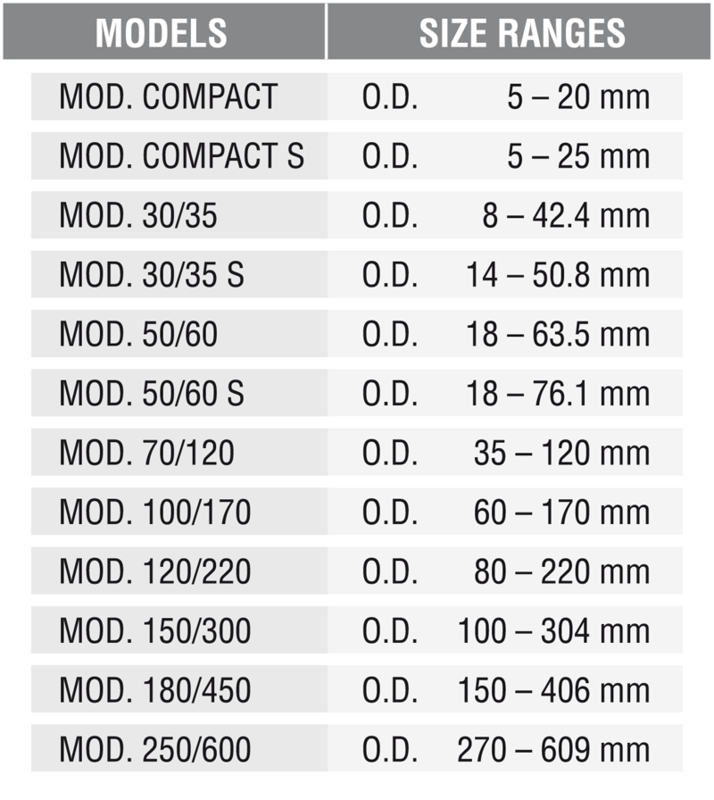 50/60S, for production of stainless steel Tig welded tubes from 18 to 76 mm O.D. Airtight WELD BOXES for welding process under controlled atmosphere, with option of using both weld rolls or weld shoes. 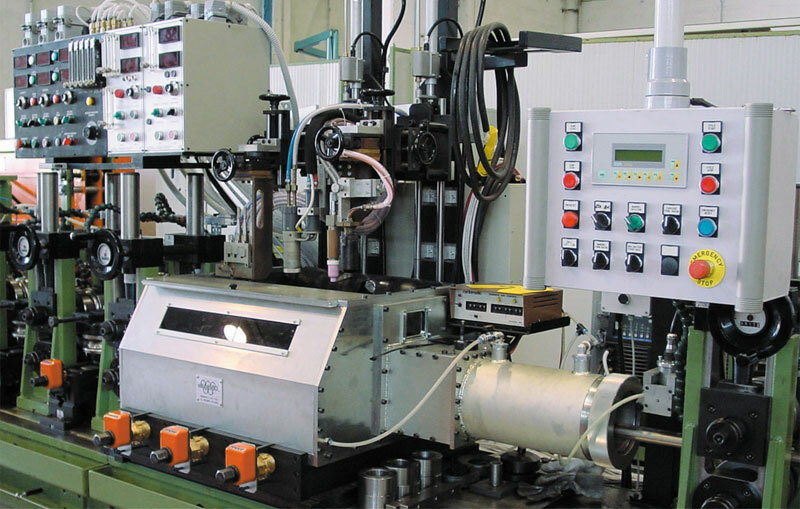 Tube welding line for production of stainless steel tubes from 18 to 76 mm O.D., complete with equipment for INSIDE AND OUTSIDE WELD BEAD REMOVAL. Weld box complete with Tricathode and Plasma welding system. 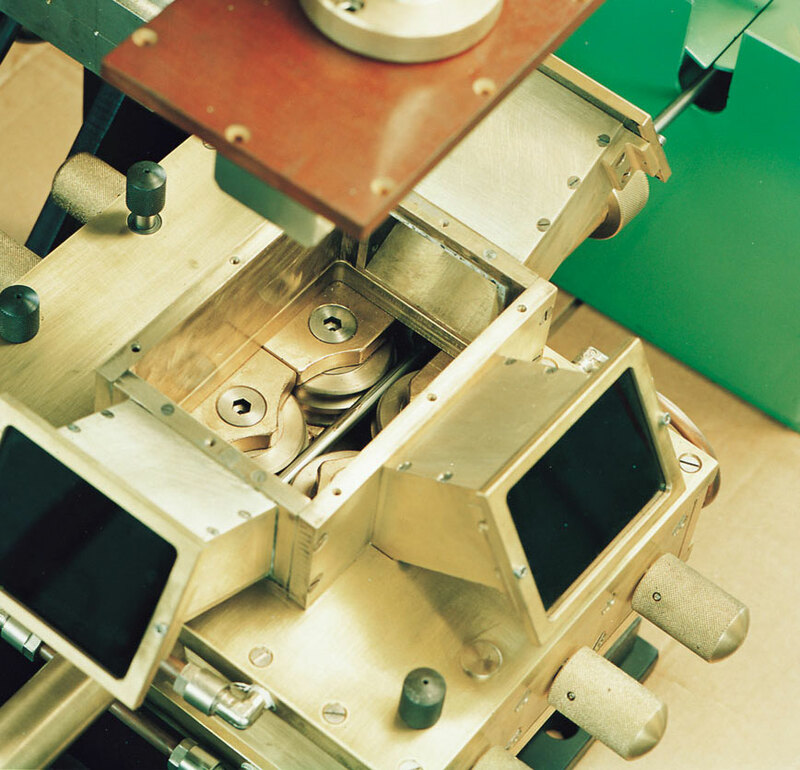 Olimpia 80 can install on its own lines IN-LINE BRIGHT ANNEALING MACHINES, covering size ranges from 6 mm to 114 mm O.D. Moreover the company offers complete solutions which include tube washing units and pinch rolls for the tube feeding. 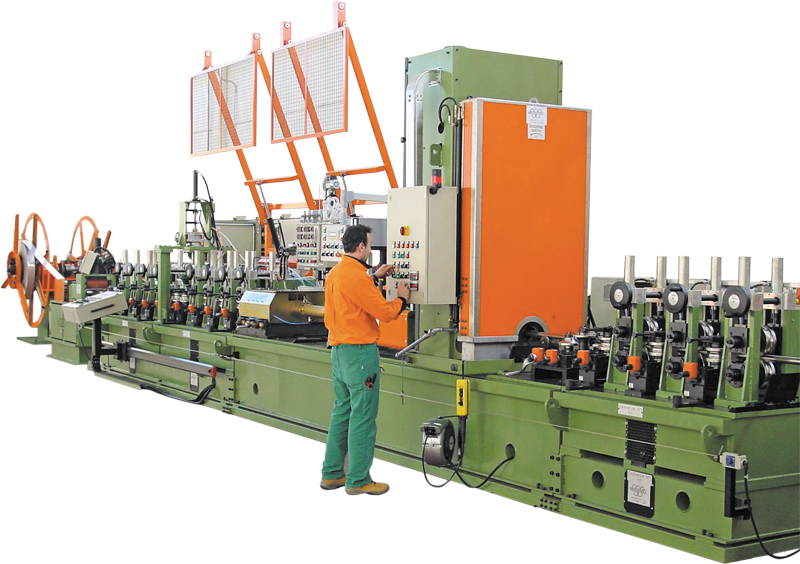 Olimpia 80 offers various models of TUBE FLYING CUTTING MACHINES, working by cold disk saw or by band saw. 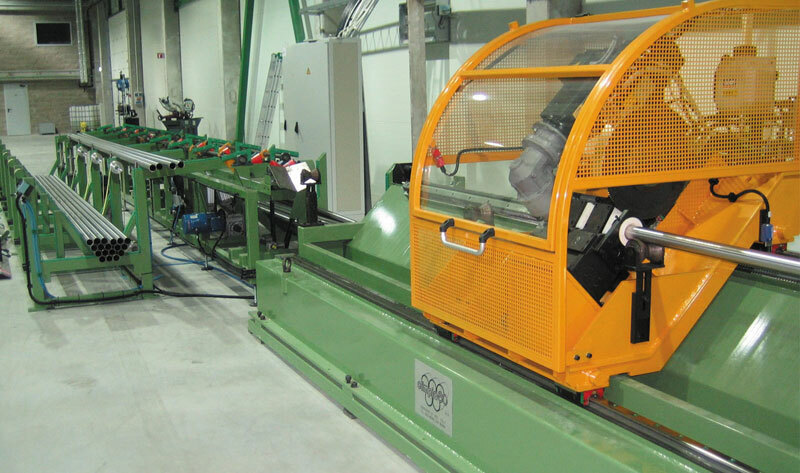 On request the cut off can be completed by in line AUTOMATIC DEBURRING SYSTEM for the tube ends facing. 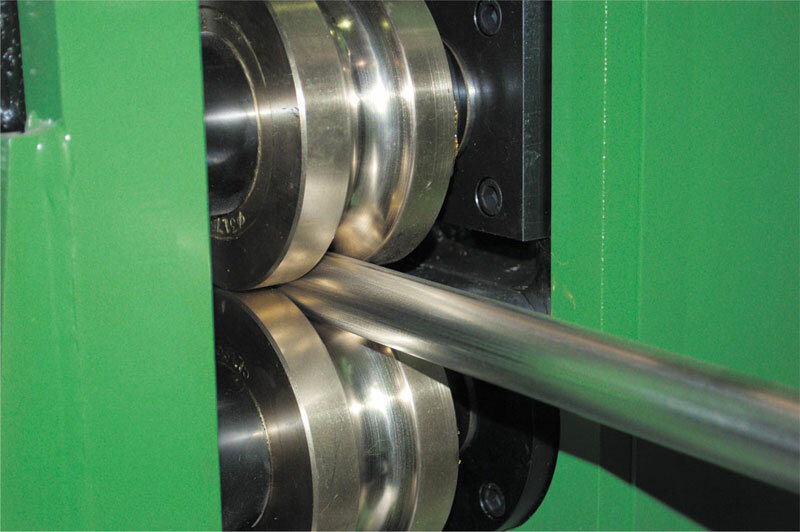 24” STAINLESS STEEL TUBE MILL. 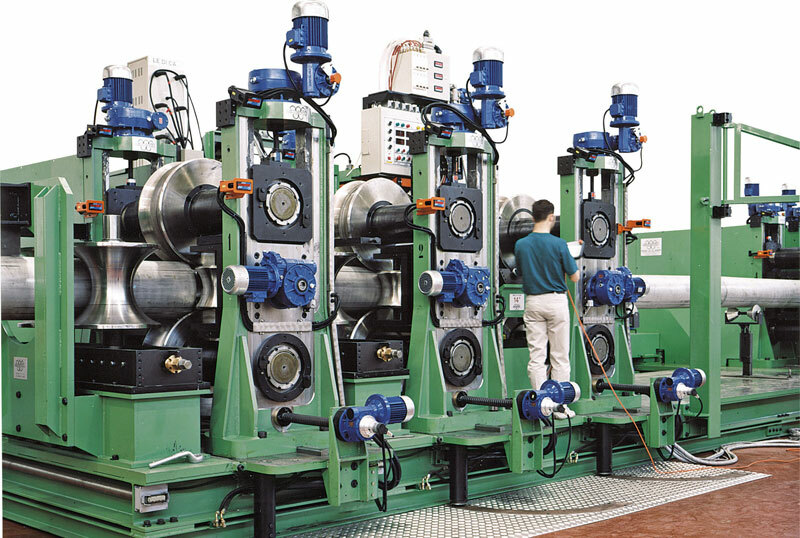 16” STAINLESS STEEL TUBE MILL. 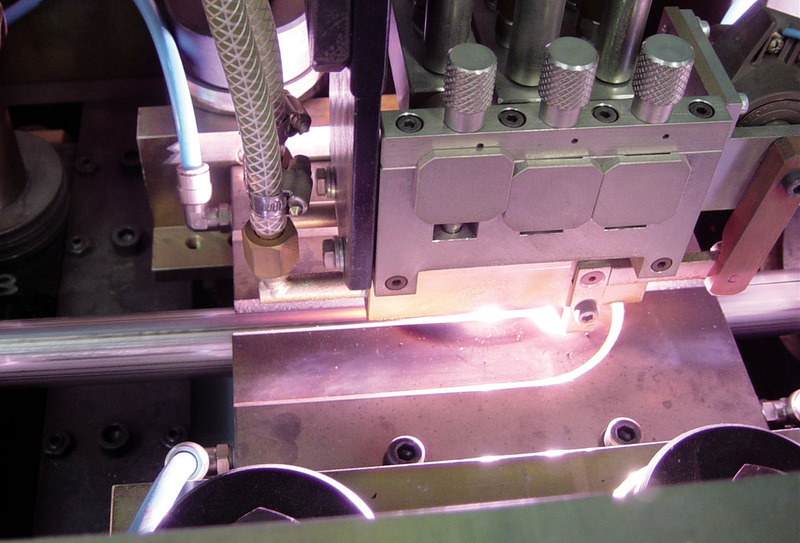 In-line dull annealing for stainless steel tubes. Double blade flying cut off. Max tubes length on request. 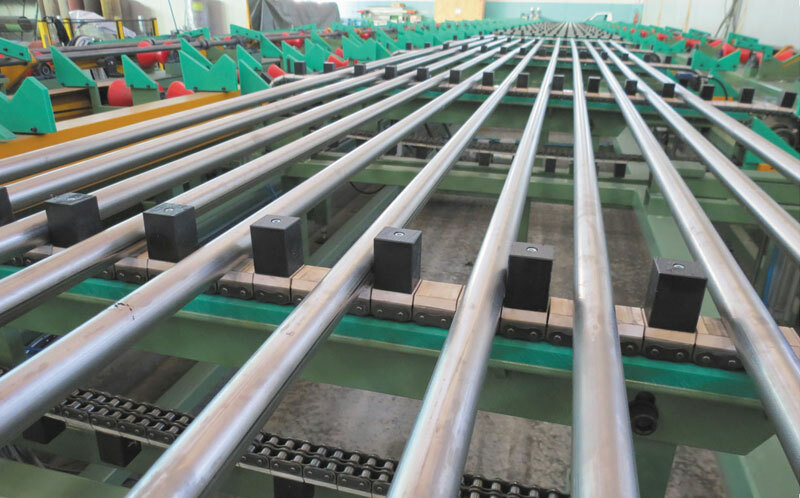 The lines are characterized by all the necessary components for the correct production of the tube, including non-destructive tests and heat treatment line. Complete mill, mod. 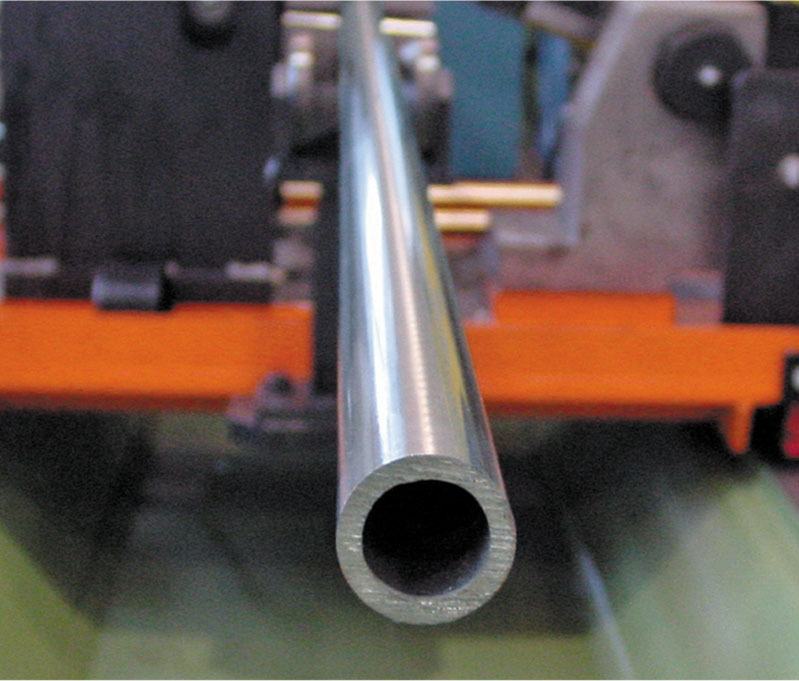 50/60, for titanium tube production, OD from 12 to 60 mm, with TIG welding system. Complete mill, mod. 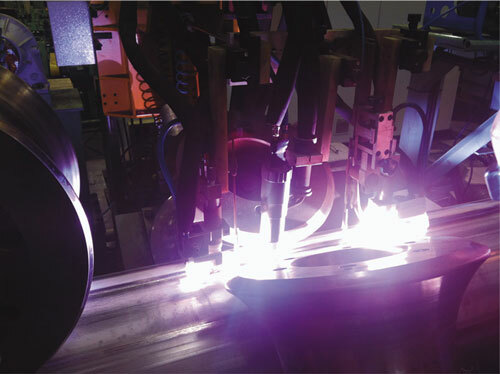 70/120, for titanium tube production, OD from 38 to 114 mm, with TIG welding system. 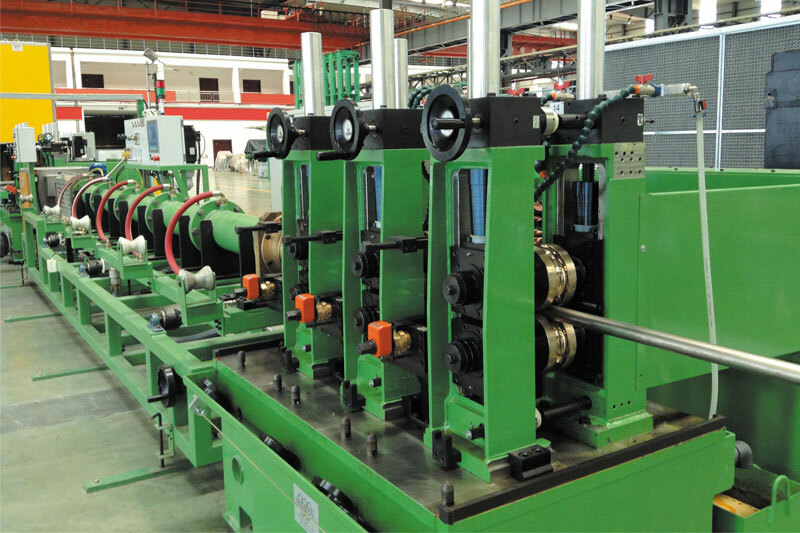 These TIG tube mills, can be completed with the of-lines installations for non-destructive test (Ultrasonic, Eddy Current, Pneumatic).